The Lady Liberty Legacy Society, is named after our first service dog, Hero Dogs Lady Liberty (“Libby”), who led the way during the formative years of the organization. Libby’s legacy continues to lead and inspire the work of the organization. 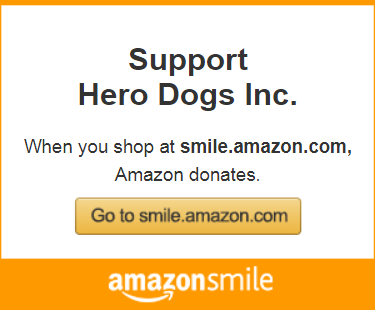 By making a legacy gift to Hero Dogs, Inc. through your will or estate plan, you are extending your commitment to the veterans, first-responders, and service dogs within our community beyond your lifetime. A meaningful gift such as your bequest helps to secure the future of Hero Dogs and the services we provide to veterans who have served honorably in the United States Armed Services and first-responders who have been wounded or have a disabling medical condition. 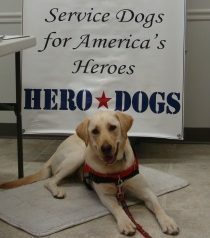 A bequest to Hero Dogs ensures that we continue to raise, train, and place service dogs free of charge with our nation’s heroes, improving quality of life and restoring independence. A gift of your retirement assets, such as a gift from your IRA, 401k, 403b, pension or other tax deferred plan, is an another excellent way to make a gift. By making a gift of your retirement assets, you will help further our work. If you would like to learn more about the benefits of establishing a bequest or making another legacy gift to Hero Dogs, Inc. or have specific questions regarding your own intentions for the organization, please contact us for a copy of our Charitable Bequest Intention Form at hero@hero-dogs.org or 1-888-570-8653.